Zombies have seen an impressive uptick in popularity over the past few years, particularly in the gaming scene. Everything from new franchises, to mobile game apps, to minigames in military shooters has featured the undead. Some of these entries have been very similar to each other, while others have carved out a unique niche in the genre. Developer Techland’s Dead Island fit neatly into the latter category, blending several ideas from other zombie action games and integrating clever RPG elements for a fun but flawed adventure. The next installment in the series, Dead Island: Riptide, delivers similar results. It should be noted that Dead Island: Riptide is not, strictly speaking, a true sequel. Think of it as a continuation of the original game; there isn’t much in the way of new gameplay, and this stars the same characters doing most of the same things. However, this is certainly not full-priced DLC, nor is it a cheap cash grab. Riptide is a full-fledged game that feels like it mostly received the attention it deserved. “Mostly,” unfortunately, is the operative word. Riptide picks up almost immediately after the conclusion of Dead Island, with the survivors aboard a ship intended to take them home. However, they are assailed once again by the undead, who have wrested control of the ship from a man who had intended to perform experiments on the survivors and uncover the key to their immunity. Shipwrecked on the island of Palanai, the survivors find that the infection has spread, and they are once again in the middle of the outbreak. The story of Riptide is exceptionally thin and told in a curiously broken, meandering fashion. Somewhere in there is a decent narrative, but it is buried beneath mountains of mundane plot filler. The gameplay from the first game remains largely the same in Riptide. The core system revolves around beating down zombies with a huge number of weapons and scavenging to find gear to upgrade those weapons into more powerful versions, as well as finding the materials necessary to ensure the survival of the group. This all takes place on a sizeable open-world island that, thankfully, feels considerably less bloated than that of the original game. There are mild additions, such as the ability to jump from a height onto zombie heads, but this is mainly all stuff that’s been here before, and gameplay-wise, that’s not a bad thing at all. In its purest form, Dead Island: Riptide is very fun, and most of the core gameplay doesn’t require any major alterations to keep it that way. Perhaps the most major addition to the game is a “hub defense mode” in which a fort or camp must be defended from the undead as they charge the hideout. Fences can be placed at the entrances to block the hordes and other defenses can be erected. The mode makes for a nice break from the exploration elements of the rest of the game, and doesn’t overstay its welcome. Most missions usually grant a powerful weapon, or at least the materials or blueprints to build one. Unfortunately, the aggressively high price for repairing and upgrading weapons remains and makes it difficult to maintain an effective arsenal. Upon selecting a character (from the original four with a fifth fisticuff-based character), an option opens up to import a character from Dead Island, specialize in one of three skill trees, or be given a handful of skill points to distribute freely. Riptide, like its predecessor, contains RPG elements and experience points. Each level gained grants a skill point, which can be placed into Fury, Survival, or Combat skill trees. Some of the skills here may have more than one tier, and range wildly from decreasing the stamina required to use a certain type of weapon to increasing the chance of finding a rare item. Many of the skills are great, with some of them having major effects on gameplay, but some either grant a bonus that may never be useful for a certain play style, or are so inconsequential they may as well not exist at all. The RPG elements go beyond simple experience points and passive bonuses, however. A welcome feature comes in the form of weapon proficiency, with weapon types (blunt, blade, and so on) becoming more effective with increased use. For example, frequent use of knives will increase proficiency with blades, and any blade used from that point onward is more effective in terms of damage, force, and durability. The feeling of working toward that next proficiency level granted an incentive to focus on one weapon type and sell the rest to have enough money for weapon upgrades and repairs. This isn’t like other zombie games where hordes of the undead can be mowed down with ease; any zombie can be deadly if you’re not careful in how you handle it. Rushing headlong into a group is a guaranteed recipe for disaster, and knowing when to run instead of standing and fighting is an important part of gameplay. Techland nailed the atmosphere here. It starts with excellent sound design; it’s not uncommon to be walking through a village and hear snarling, only to turn around and see nothing. A moment later, a zombie or two will come sprinting around the corner. Other zombies may start out shuffling and break into a run. This unpredictable behavior is what makes zombie encounters so harrowing. While certain zombie types will always behave in the same way, the type name doesn’t appear until the zombie is very close, so it’s always a shock to see a zombie closing the distance with impressive speed. While Riptide shows some technical improvement over its predecessor, there are still instances of stuttering and frame rate slowdown, ranging from manageable to atrocious. The game runs smoothly at times, but frame-rate drops occur just a little too frequently, and there were a few times, particularly when facing off against larger enemies, when the game literally chugged to a halt for a couple of painful seconds. To be fair, Riptide does generally look great; the environments still appear very lush and the layers of bone and muscle modeling on the zombies that chips away with successive hits is appropriately nasty. On the other hand, there are some spotty animations from time to time, some textures look muddy, and the less that is said about the lip syncing, the better. The game engine needs much more polish, plain and simple, and what is shown here shouldn’t be acceptable for a mainstream release. One area that has received polish is the cooperative mode, which sports a seamless drop-in-drop-out system for up to four players. The system works very well, and seems to be largely devoid of the connection problems that plagued the original. One extraordinarily useful feature is a context sensitive button that, when pressed, highlights whichever item the player is looking at for his partners. For example, a player that notices that his friend is low on health can look at and highlight a piece of health-granting food and a message pops up indicating that food has been found. This also works for zombies, gear, and so on. It makes communication a little easier if the players don’t have headset access. One oddity about the mode is that the players don’t seem to always be tied to the same quest. At times, one player may be headed for one objective while the second player might have an entirely different quest selected. It doesn’t affect the game at all in terms of performance, but it’s confusing to have players headed in opposite directions because they’ve got different missions activated. Still, co-op is definitely the way to go, as it makes the game more fun. Bizarrely, the frame rate also seems to improve when another player joins the fray. Dead Island: Riptide is a prime example of a diamond in the rough. The game is incredibly buggy and unpolished on a technical level and plagued with an extreme overabundance of fetch quests and story breaks. The game itself, however, is just so much fun. Few other zombie games match the viscera, brutality, and pure adrenaline rush that Riptide delivers. The myriad of weapons feel great, and the slew of wild weapons that can be created is pretty clever. It’s unfortunate that there are so many technical problems dominating the game, but it’s also a testament to how creative and fun the underlying game is that it’s possible to look past the issues and have a good time. 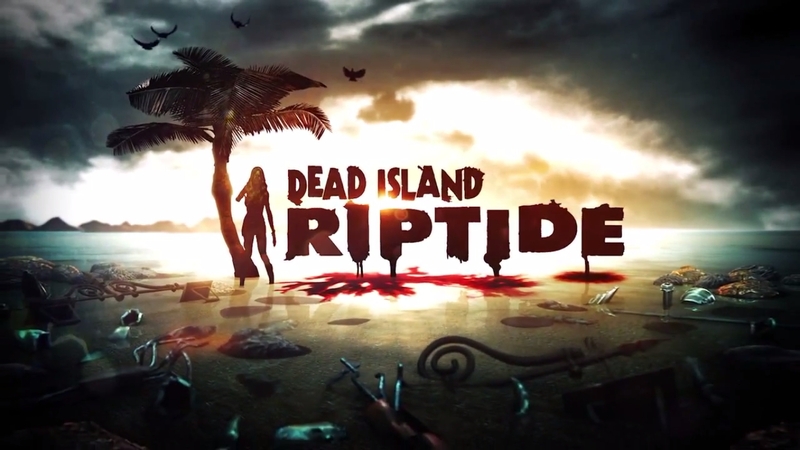 Dead Island: Riptide was developed by Techland and published by Deep Silver. A PlayStation 3 copy of the game was provided by the publisher for review purposes.